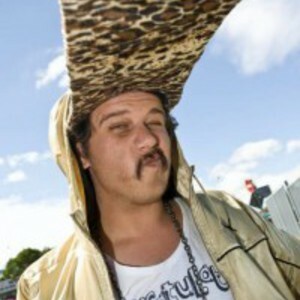 Jack Parow is an afrikaans rapper from Bellville, Western Cape, South Africa He is well known for his contribution to the song Die Vraagstuk with Die Heuwels Fantasties. He also performed with Die Heuwels Fantasties at the Oppikoppi Music Festival in 2009. He is also known for his contribution to and collaboration with Die Antwoord and Fokofpolisiekar in their songs "Wat Pomp" and "Doos Dronk." He is well known for his contribution to the song Die Vraagstuk with Die Heuwels Fantasties. He also performed with Die Heuwels Fantasties at the Oppikoppi Music Festival in 2009. He is also known for his contribution to and collaboration with Die Antwoord and Fokofpolisiekar in their songs "Wat Pomp" and "Doos Dronk." His debut single Cooler as ekke has become his most recognisable song, gaining airplay on the Dutch national radio station 3fm. His self-titled debut album was released at the end of April 2010.